Think about it: beaches and palm trees and those postcard-perfect huts suspended over turquoise water that you always see on magazine covers. Yeah, you can find all those things in French Polynesia. Which is why, when the opportunity arose for me to stop in Tahiti for a few nights on my way to New Zealand, I jumped at it. 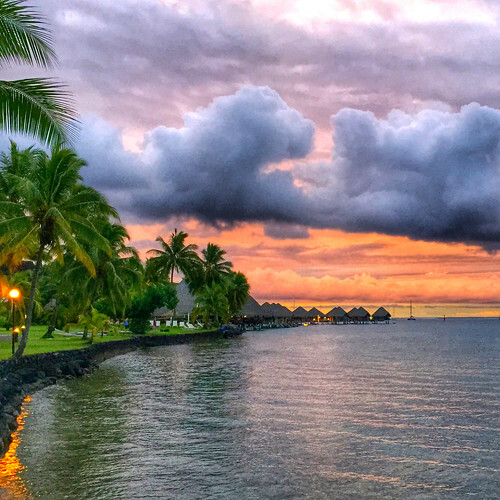 Tahiti, located between Los Angeles and New Zealand, is one of the largest islands in French Polynesia. The Islands of Tahiti (another name for French Polynesia as a whole) consist of more than 100 islands and atolls spread across 1.5 million square miles in the South Pacific. 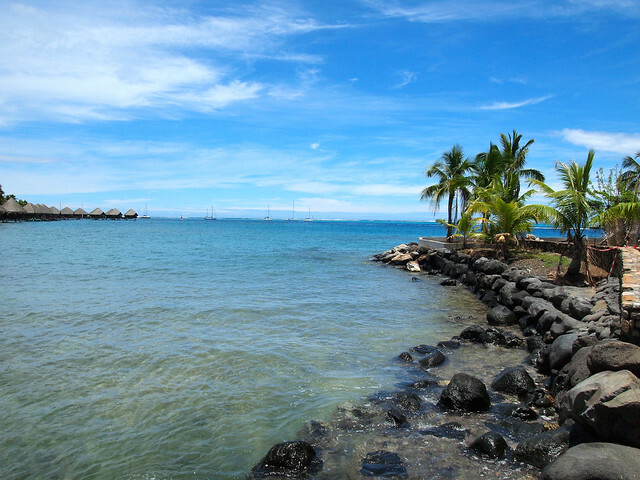 The islands are divided up into smaller groups, and Tahiti is part of a group called the Society Islands. 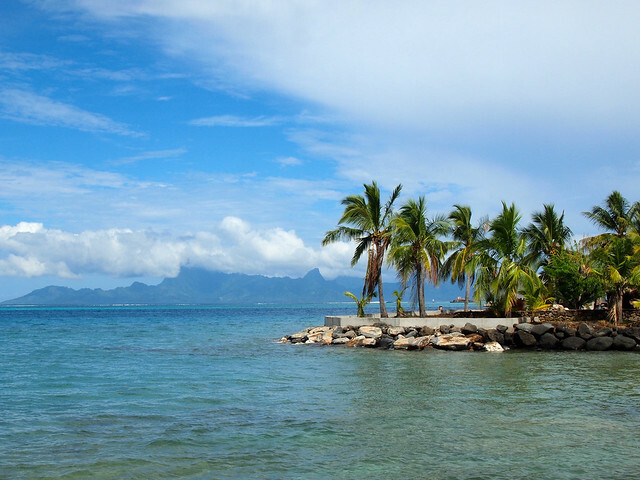 Originally, I had planned to hop from Tahiti over to Moorea, a smaller island just a quick 25-minute ferry ride away. But a cruise ship in port in Moorea thwarted my plans. In the end, though, I was glad! 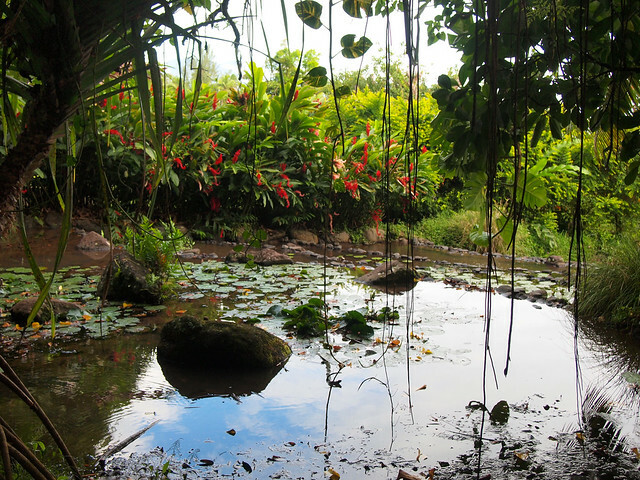 Because without the option to go elsewhere, I spent two full days exploring the island of Tahiti. 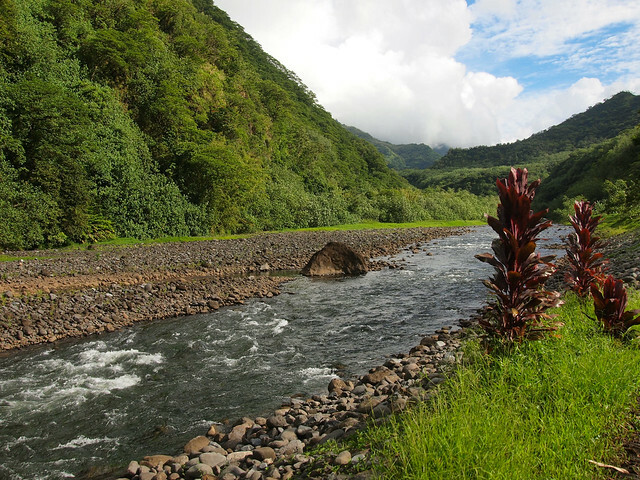 And, let me just agree with Phil Coulson here: Tahiti is a magical place. 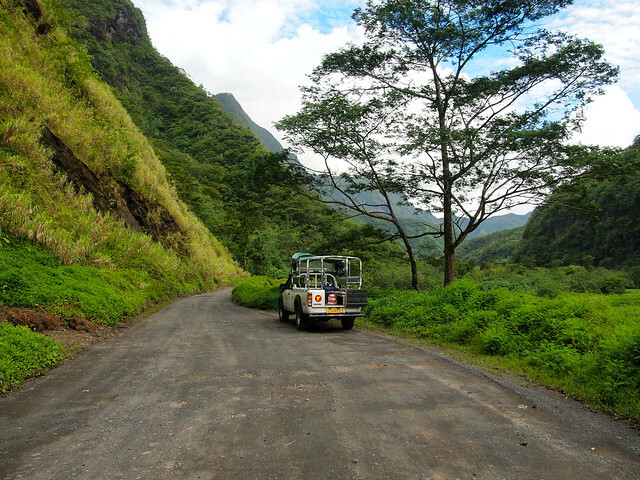 During my two days in Tahiti, I did a circle island tour, relaxed by the pool at the InterContinental Tahiti Resort, and went on a 4×4 adventure into Tahiti's mountainous center. 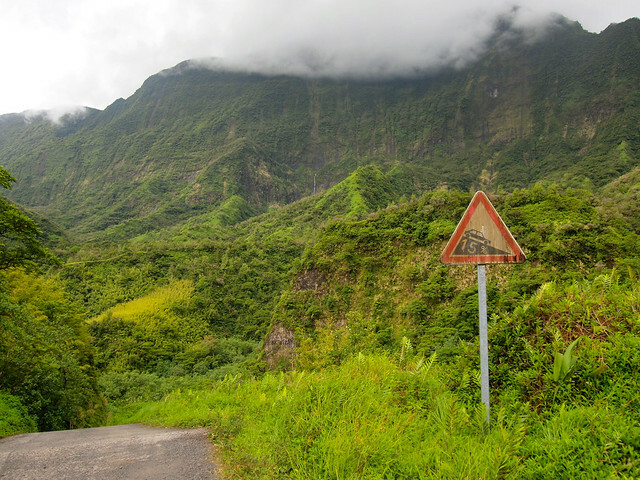 Before arriving, I really had no clue that Tahiti had so much to offer. 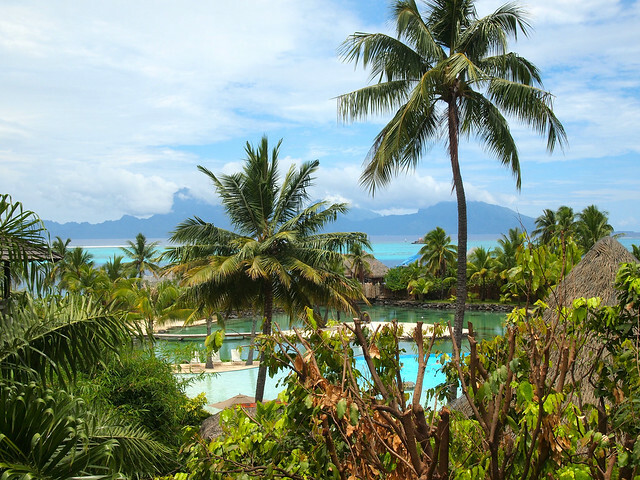 You tend to hear a lot more about Bora Bora and some of the more “romantic” islands in French Polynesia. But don't completely write Tahiti off! 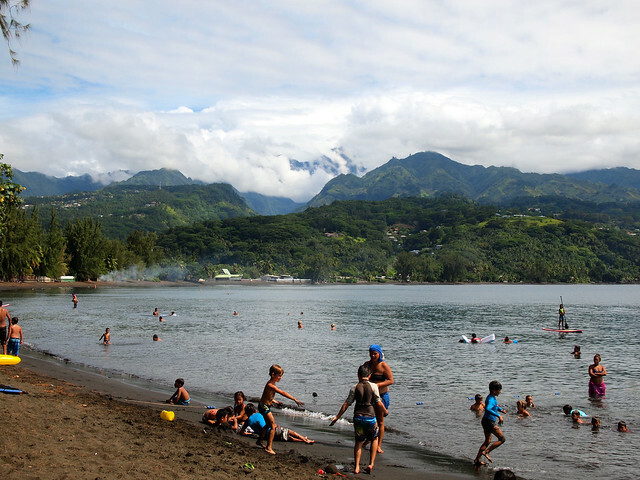 Even though it doesn't have soft white sand beaches (the sand here is volcanic and black), Tahiti makes up for it with incredibly steep mountains, sweeping views, great surfing, and a community vibe that sets it apart from its French counterparts. 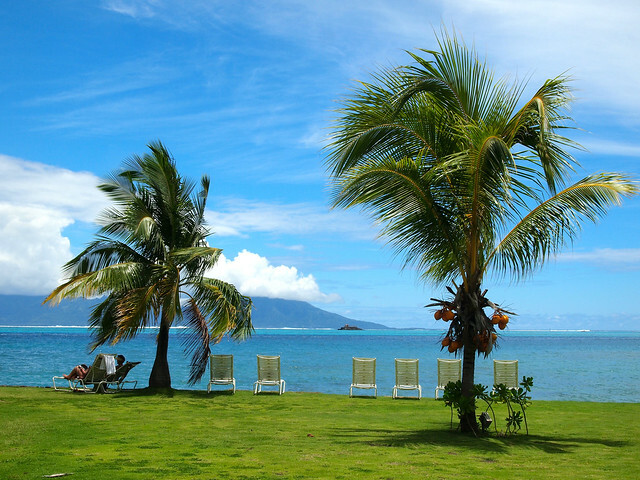 Is Tahiti on YOUR wishlist? Which photo is your favorite? 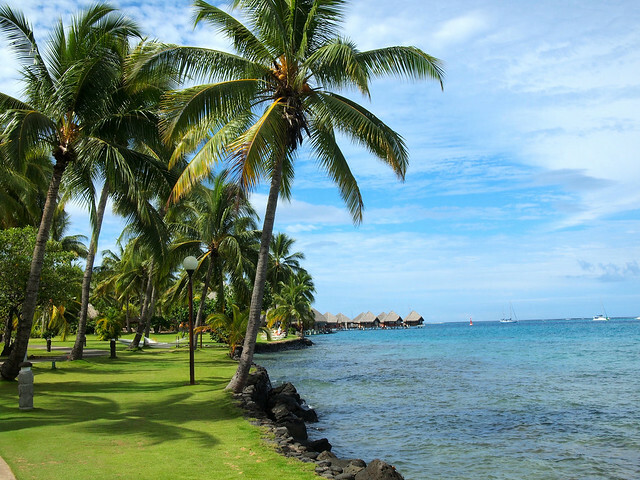 I’ve wanted to travel to French Polynesia since I was just a wee lad, so Tahiti is MOST definitely on my wishlist! But then again, what tropical place isn’t? Hehe. 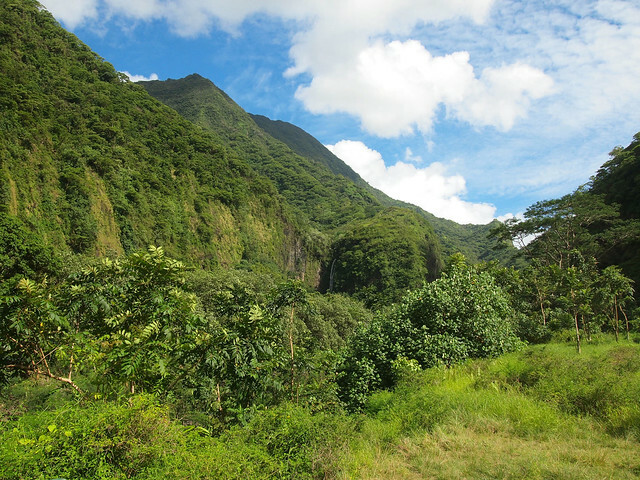 And it does remind me of Jurassic Park, btw! Wow, wow, wow and wow. Did I say wow? This place is just crying out “why haven’t you come to visit me yet, look at me!”. Very cool, I need to find a way to get there, and soon! Haha, yeah, definitely plenty of wow moments! 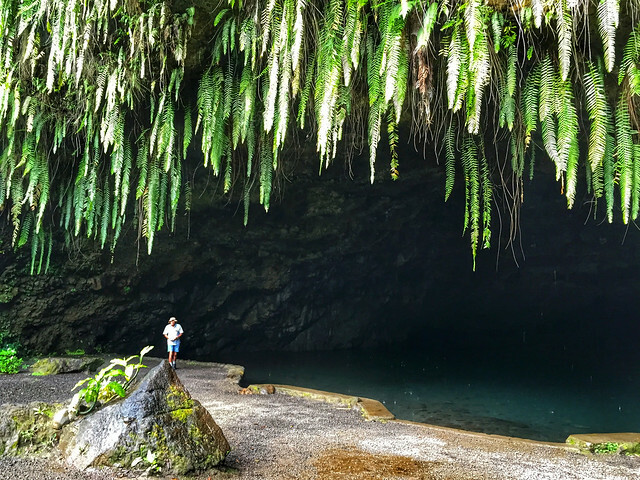 I visited on a stopover between LA and New Zealand – actually quite affordable if you do it that way! Cool 🙂 I’m moving to Australia in a month so it will take me closer to the promised land at least! Haha yes it will! Lots of Aussies and Kiwis on vacation in Tahiti when I was there. Wow!! SO lush and gorgeous. Tahiti has been on my bucket list for years!! 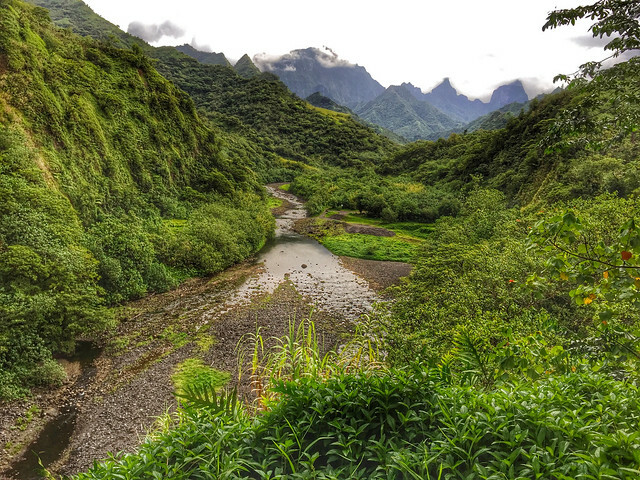 Tahiti gets a lot of rain, which is what keeps it so lush and pretty! Looks absolutely stunning! 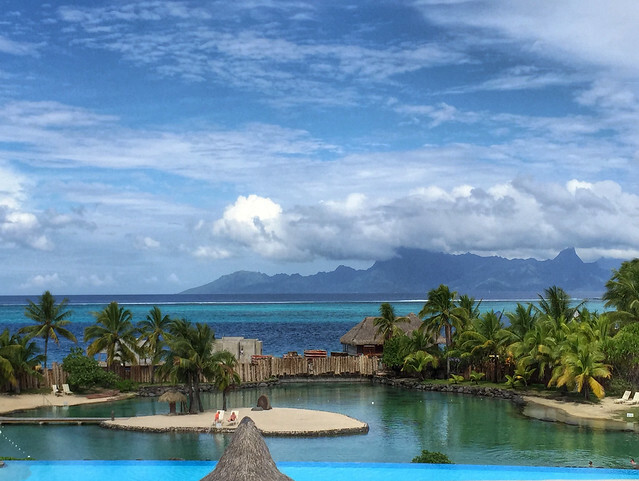 When I make it to French Polynesia I am hoping to spend a week on Tahiti, a week on Moorea and a week on Bora Bora – if I can afford it! That sounds amazing! But yes… pricey! Haha. Oh, that is so gorgeous!! 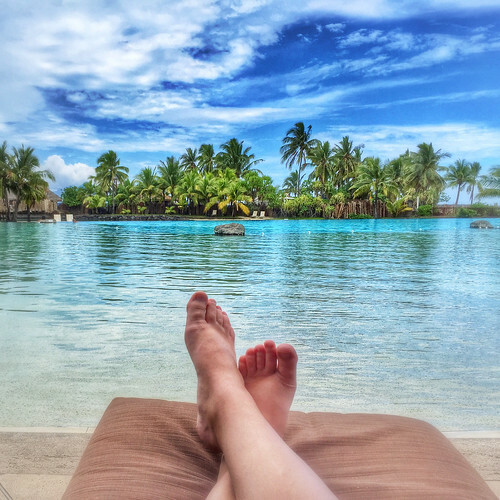 I’m actually writing a novel where the first place my character goes to, after making the jump to a backpack lifestyle, is a pearl farm in French Polynesia (that part inspired by Candace’s–from The Great Affair–own experiences there!). So I loved seeing yet another’s perspective. I really have to get over there myself!! I’d have to say the third or second pic in this post would be my favorite. It’s hard to choose! They’re all so gorgeous. God certainly made in incredible world. Oh fun! Well you should definitely get yourself there someday if you can! Oh, and by the way, the Phil Coulson reference–awesome. 😉 Love the bits of nerdism where I can find them. And I love that you use Bilbo’s quote on your sidebar! And just you wait – this site is about to get waaaaay more nerdy! Ha ha! I caught the “Agents of Shield” reference in the title too! It looks like an incredible place Amanda. It definitely was! I’m very happy I decided to do the stopover there. It was better than I ever imagined! Definitely will go back someday to see more islands. It is indeed a magical place! Your photos show that clearly. 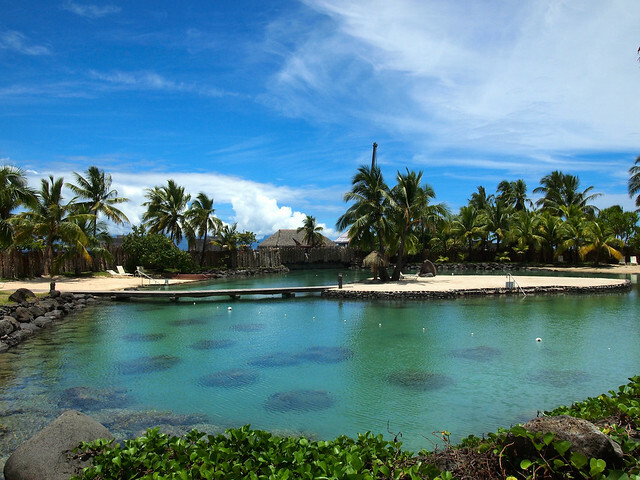 I have been intrigued about Tahiti since the time a popular Bollywood (Hindi Film industry) had their honeymoon there. They wanted to go to a lesser-known place, but I guess it’s quite well-know now! Oh, I think it’s still a little bit unknown. Or, at least, still not heavily touristed since it’s tricky/expensive to get to! Wow, Tahiti looks absolutely gorgeous. I’ve heard about it a lot throughout my travels but never really thought about it much. 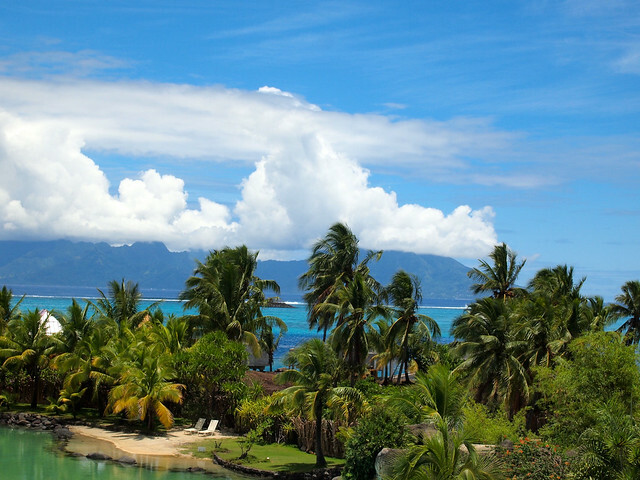 Perhaps when i go to New Zealand next year, I’ll have a stay in Tahiti. I know, me neither! I had no clue, really, that it had these amazing mountains and valleys in the center! Definitely very cool. Tahiti has always been a dream destination of mine and these photos are gorgeous! I didn’t realize the island was more volcanic with black sand. Yup! It’s one of the younger islands in French Polynesia, I believe, which is why the mountains are so big! The black sand beaches were pretty cool. I understand now why you usually see photos of beaches on other islands, though, in tourist brochures. White sand somehow always looks more inviting, though I think black sand is much more unique! I definitely want to go to the Maldives someday, too! Oh my, that cave looks incredible!! Did you go inside it? What did you find? I love caves, there’s something about them. The Pacific is just the most beautiful place. 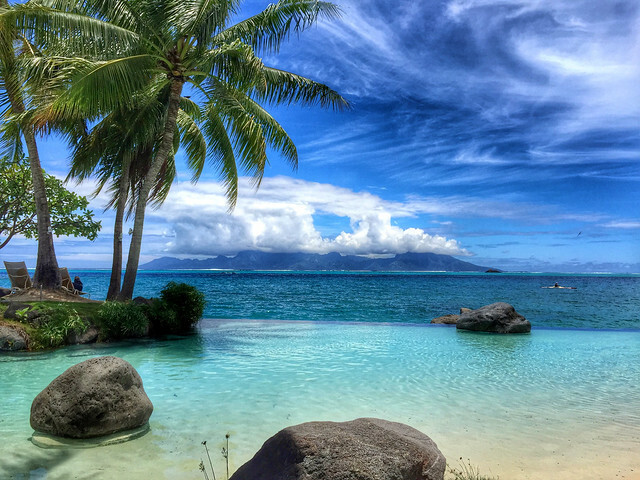 I’m in Fiji at the moment and it’s stunning, but every time I see images from Tahiti, or Tonga, or Vanuatu, I just want to go see those places as well! I just wish it were a little easier to get from place to place. Everything is so far apart in this part of the world. I know! I just saw a billboard for Tonga today and found myself daydreaming about it. Too many amazing islands in this part of the world! Aww thanks! 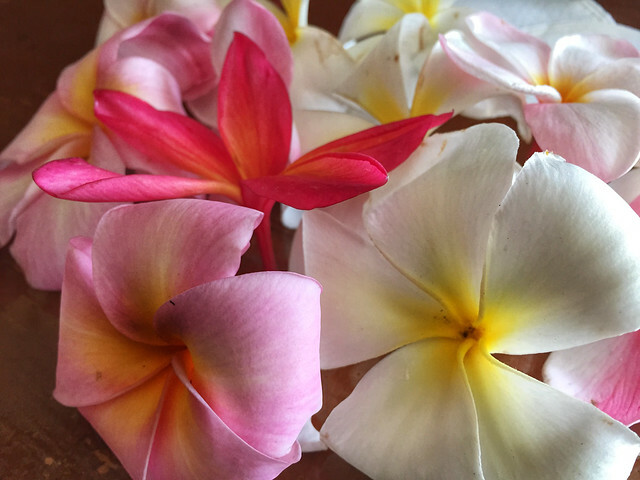 And yeah, it was pretty amazing… more Tahiti posts soon! The mountains were the best – post on them (hopefully) tomorrow! Yes, I’m definitely glad I went! It was even better than I was expecting. Me too! Though, I think the interior of the island is what really won me over in the end! Yup, everyone always seems to want white beaches! But black sand ones are cool, too. ARGH I have serious issues with Tahiti! 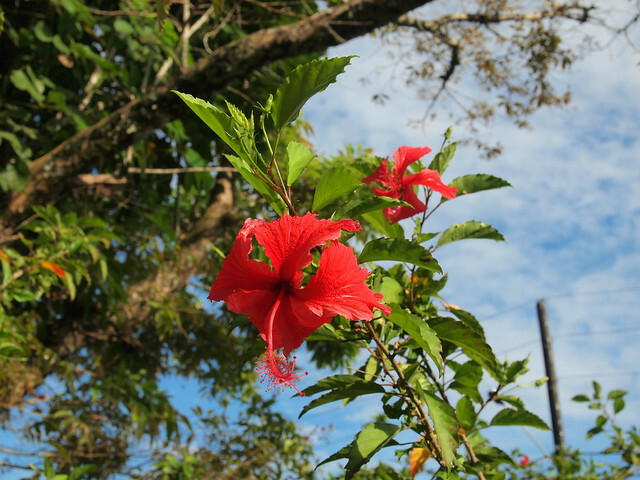 Only because we booked a stopover overnight at the end of our RTW trip … but once we were abroad I realised our agent had got the dates wrong and only given us a 3 hour stopover. Changing it was crazy expensive, so we’ll just have to go back some other time … we ended up just dozing in the airport. Aww what a bummer!! 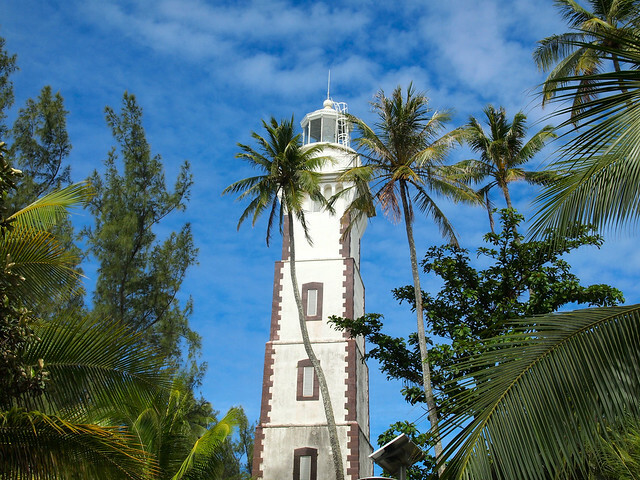 Highly recommend a proper stopover sometime – the island really surprised me! After our experiences on Thoddoo island in the Maldives, places like Tahiti are firmly up there on our Wish List. We are planning to go to Auz in Sept/Oct and New Zealand in around October/November time and wanted to make some stop overs on the various Pacific Islands around there (subject to costs of course). 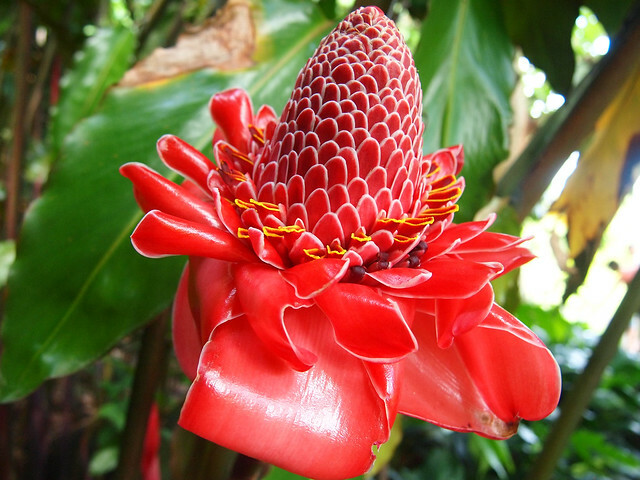 But we know nothing about it yet, so Tahiti is our first step in our research about this unknown world for us. Sounds like a great plan! 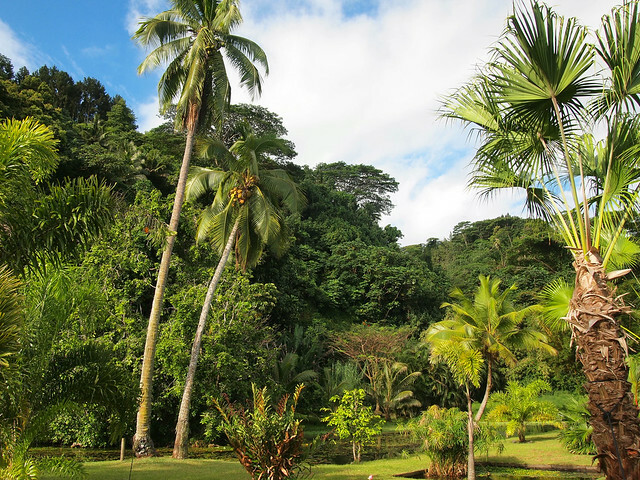 I did my stopover in Tahiti on the way to New Zealand, which worked out really well! Next time, though, I would want to stay longer so I could also visit Moorea and Bora Bora! I’ll be sure not to miss it next time! Hey Amanda! Recently discovered your blog, and absolutely love it! Seems like we have the same travel philosophy and been to the same places 🙂 I am actually going on a road trip to NZ in January and booked the flight via Air Tahiti who offered a stopover in Tahiti for free! We will be at the Intercontinental for 3 days at the end of January. May I ask you more info regarding the 4×4 tour that you did? Did you book through your hotel? We are expecting insane prices for anything we will want to do, but also expecting amazingness 😉 Can’t wait!